There's more to explore than ever before at Busch Gardens Tampa Bay in 2019. New this year, park guests can enjoy fan-favourite events every week of 2019 as part of the park's 60th Anniversary celebration. Throughout 2019, park guests can enjoy unmissable events for all tastes and ages. 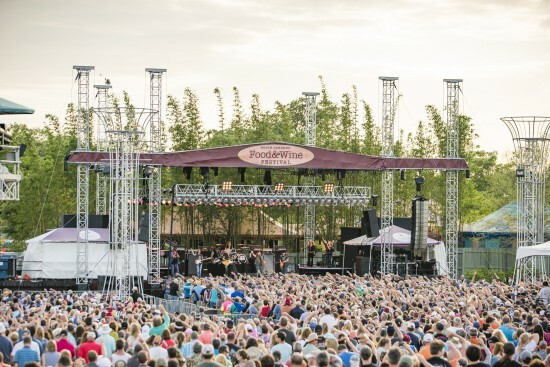 The longest-running concert series at Busch Gardens Tampa Bay returns with incredible live music and entertainment spanning from the 1950s to today. See daily performances at the park's Stanleyville Theater from world-class acts including circus performers, ballroom dancers and an array of bands. Join Sesame Street friends for fun-filled events throughout the year. 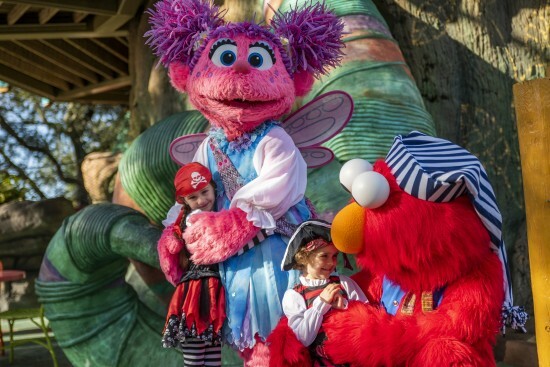 Families can enjoy special character interaction, themed story time, treasure scavenger hunts, and dance parties for pirate-inspired frivolity on select weekends in February. Families can also catch the return of Let’s Play Together, a heartwarming live show all about the beauty of friendship, now playing select days at the Sunny Day Theater. For an unforgettable dining experience, families can book the Lunch with Elmo and Friends, featuring child-approved buffet and photographable memories with their favourite furry friends. On 2-3 March, guests can make mealtime more than memorable at Dine with Peppa Pig, an unforgettable dining experience featuring a child-friendly buffet and photographable moments at the Sesame Pavilion. It will be more fun than a muddy puddle! Then it's time to save the day with an action-packed visit from the PJ Masks on 9-10 March. Families can take their fan experience to the next level at Dine with PJ Masks* – a child-friendly buffet where children can meet and take a photograph with their favourite mystery-solving heroes, Catboy, Owlette, and Gekko! The park's most delicious event returns this March with tastes for every palate at the fifth annual Food & Wine Festival. Guests can sample delectable cuisines paired with a wide selection of wines, craft brews and specialty cocktails while enjoying some of the biggest names in entertainment. Meet Guy Harvey and learn about his dedication to conservation and his passion for marine wildlife. Bring your favourite gear for him to sign or purchase Guy Harvey paintings, merchandise and more. Autographs and photos will be available at select times throughout the day. Join "Jungle Jack" Hanna for a weekend of wild animal shows, autograph signings and special meet-and-greets when he visits Busch Gardens. The internationally-known animal expert will share animal facts and his travel tales during animal shows. As the sun goes down, the night comes alive at Busch Gardens Tampa Bay's Summer Nights. The event features extended hours, endless energy and world-class coasters that light up the night. Join us for a Fourth of July firework celebration like no other during Summer Nights. Autumn and Christmas favourites return, including: Bier Fest – a unique blend of food and favourite craft beers from around the world and local favourites; Howl-O-Scream, celebrating 20 years this autumn, there is nowhere to hide at Howl-O-Scream 2019; Christmas Town, with millions of twinkling lights and festive shows. With a nostalgic nod to the park's roots as a brewery, guests age 21 and older can enjoy two complimentary beer samples each day of 2019 at Serengeti Outlook Pub and Restaurant and Garden Gate Café. Valid identification is required for age verification.